In today’s challenging health and care landscape, it is more important than ever to evidence the value of our work. Yet traditional approaches to evaluation can often underestimate the impact and value of improvement work. 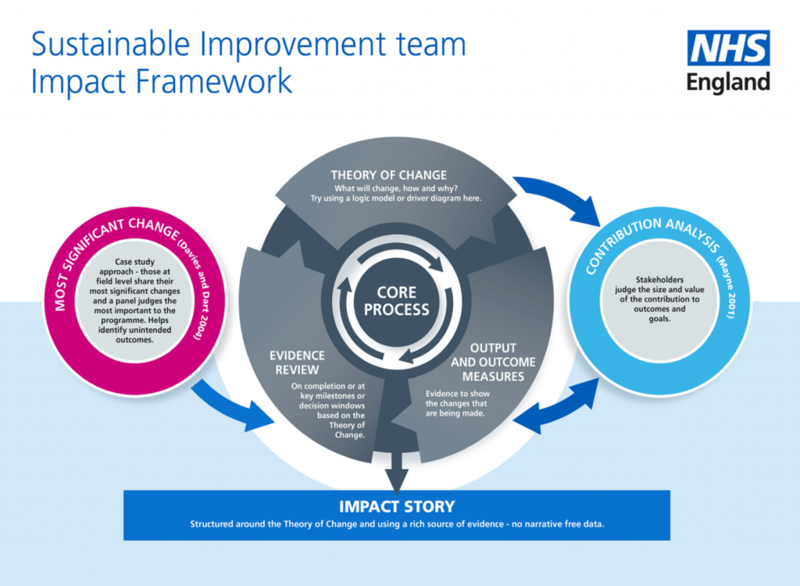 Drawing from traditional and more innovative evaluation approaches, NHS England’s Sustainable Improvement team has developed an Impact Framework designed to capture the full value of improvement work. It uses theory of change and a narrative approach to bring rich sources of evidence to life. The framework is applicable to quality improvement and transformational change programmes where evidence is harder to capture. For more information on the Impact Framework, please contact england.si-enquiries@nhs.net.